Figure 1. Excel QUARTILE.INC Function. 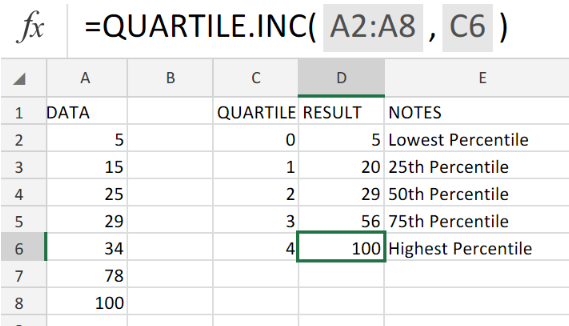 If our goal is to obtain the quartile in a data set of (four separate percentiles), we must utilize the Excel QUARTILE.INC function. array = data reference to analyze. The Excel QUARTILE.INC function is categorized as an inclusive percentile and has “equal to or greater than” behavior. 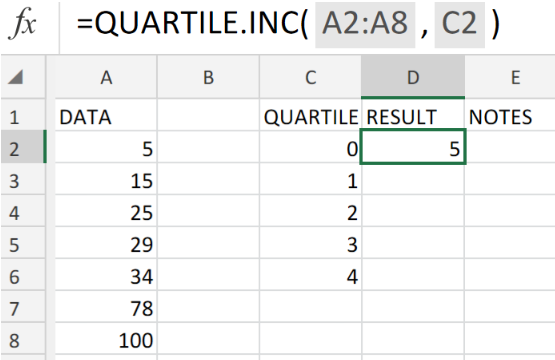 How to use the Excel QUARTILE.INC Function. We are sometimes required to determine the minimum or maximum profits in 1st or 2nd quartiles for given figures during financial analysis. 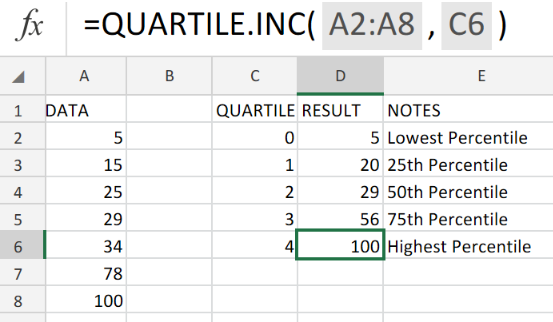 The QUARTILE.INC Function in Excel is specifically designed for such calculations. Use 3 simple steps described below to achieve this;. Arrange all the data references for analysis in a column of our worksheet. Be sure to make provision for Excel QUARTILE.INC Function to return the resulting number values. Figure 2. 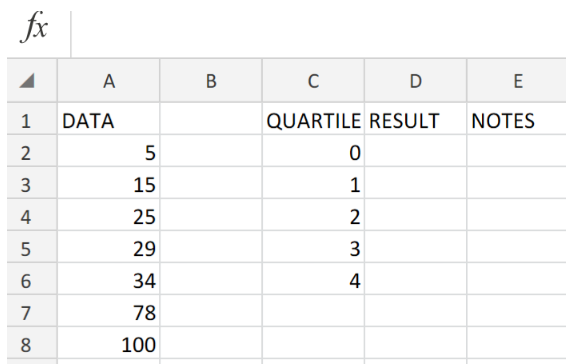 Excel QUARTILE.INC Function. Figure 3. Excel QUARTILE.INC Function. Excel returned the percentile value as 5 (minimum percentile) for the data referenced in cell A2. To get the other percentile values, modify the QUARTILE.INC formula in cell D2 and enter into the other cells in the RESULT column. Figure 4. Excel QUARTILE.INC Function. Percentiles are often used in surveys and sales data for dividing populations into groups. 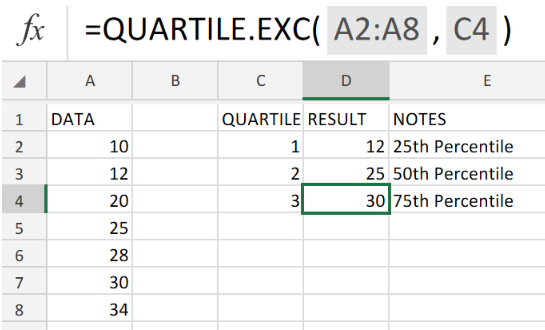 The Excel QUARTILE.INC formula is a statistical function.